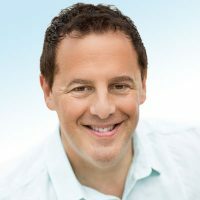 Carey Smolensky, author of Living Life With PASSION and Helping Others, is a dynamic businessman, event producer, multi-faceted entertainer, and entrepreneur who was born in Chicago. Carey began his family of companies four decades ago and is constantly challenging himself to make a difference in the lives of others. He believes that change is the key to innovation and is constantly evolving both personally and professionally to continually live his life with passion. The Passion Summit is the next logical step in sharing the ability of living life passionately while helping others. Carey’s goal of creating a passion community is just the beginning of being able to support each other while thriving personally and helping others achieve their dreams. Please note that the speakers list for The Passion Summit is subject to change.